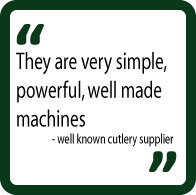 We primarily supply to the cutlery trade. 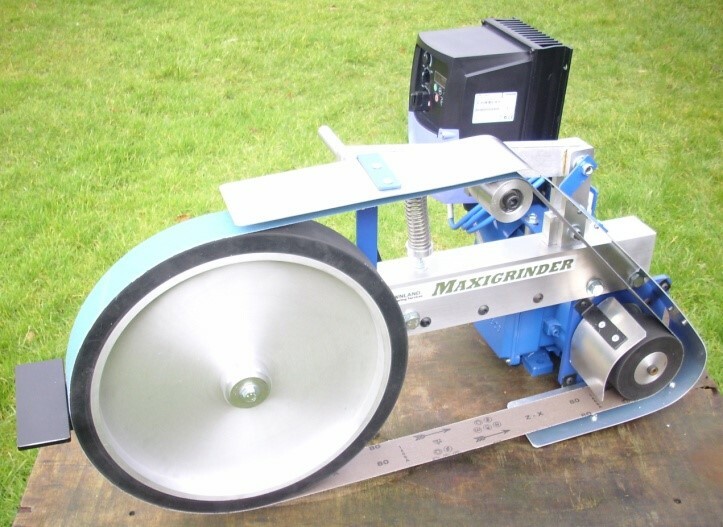 Using a combination of a flat platen and contact wheels all the complex angles that make up a blade can be easily achieved. 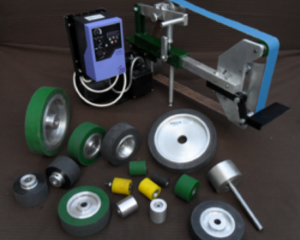 However they are not limited to a specific use and are equally at home when used for general metalworking applications particularly de-burring and shaping metal components. They also have a use in the manufacture of aftermarket car, go kart, buggy chassis and suspension components because of the ability to perform notching on round and square tubing. 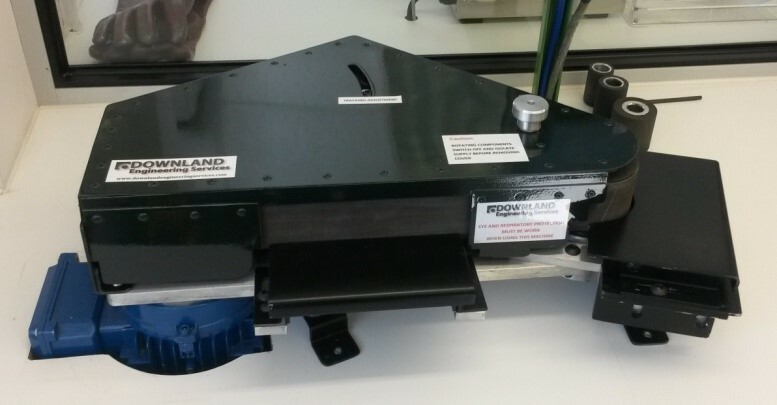 We can design and manufacture bespoke equipment for specialist applications. Find out more here.